The University of Southern California Polo Club and Polo Teams are located in Los Angeles, California. The USC Polo Club began in the 1930's and has followed a long tradition ever since. The Club and Teams are currently based at Fair Hills Farms in Topanga Canyon and have been renamed to the Trojan Polo Club ! 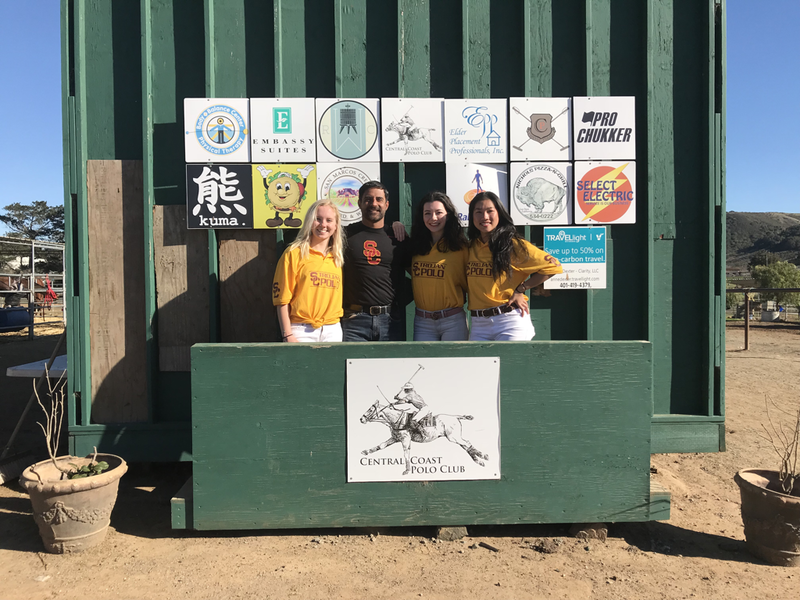 The Trojan Polo Club is open to all Undergraduate and Graduate students and Faculty who wish to learn and play polo with other Trojans. As a member of the Trojan Polo Club you are entitled to Special USC rates which offer you the most affordable polo rates possible. Beginner, intermediate and advanced players are welcome and encouraged to participate at all different levels of play and instruction. The Trojan teams consist of undergraduate players meeting eligiblity requirements and polo adequate polo experience and knowledge to be selected as members of the team and able to participate in Official Intercollegiate Games Sanctioned by the United States Polo Association with the USC men's and women's teams. The teams participate in the USPA Intercollegiate tournament every spring, as well as in many other tournaments throughout the year. Our coach Ardeshir Radpour, a 3-Goal player who has played both as an amateur and a professional is also a former USC Men's Team Captain and Alumni. His training in horsemanship and polo were based on a solid foundation promoted by Sue Sally Hale and Stormie Hale. As a Trojan you might also recognize him as Trommy Trojan, the rider of Traveler the famous Trojan Mascot, from the years 1995 - 2000, where he lead a very powerful tradition. From 1993-1995 he served under Stormie Hale as assistant coach and from 2000-present he has served as head coach of the Polo Teams. Since his arrival, the USC teams have had extremely successful seasons producing three regional all-star players, 1 national all-star and teams which have competed in Regional Championships and first trip to the National Championships for the Trojans.